» review: anastasia's clear brow gel. » tx ren fest: all hallows eve! 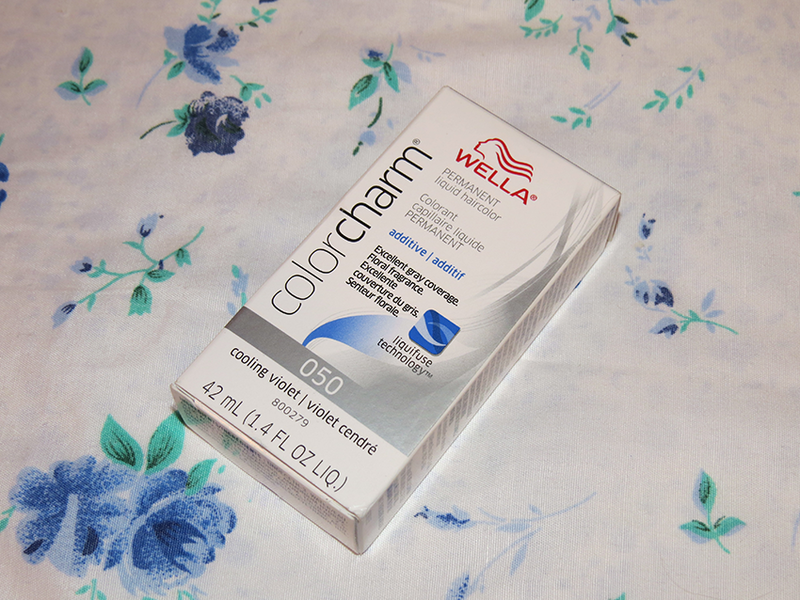 review: wella 050 cooling violet. available at sallybeautysupply.com, non-sponsored review. it's an ok price. the tubes are kind of small, in my opinion. it's a 1.5 ounce tube. but since i only needed it for the bottom of my hair, i only needed one tube. as for the color: when you pour the mixture directly from the bottle and onto your mixing container, it will be a brown color. but when you pour in your developer (which you do have to use), mix well and then let it sit for about three minutes. it will turn into the proper color. like with ion color brilliance, wella colors their boxes with the color that will some-what resemble your hair after the use, which i like. 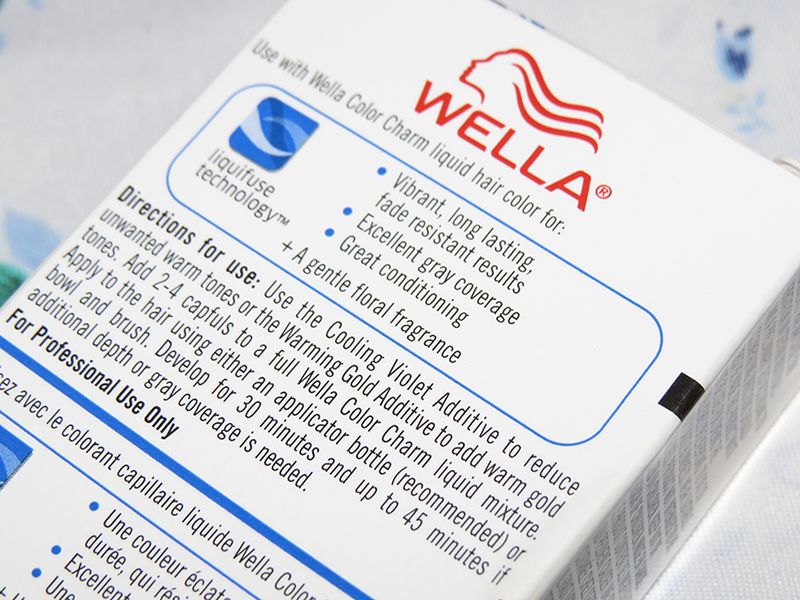 however, all of wella's boxes are not color coordinated. this particular color was, however. also, the packaging color is lighter then the end result, which is more of a dark grey. but other than that, the packaging isn't anything special, and i don't really care for it. 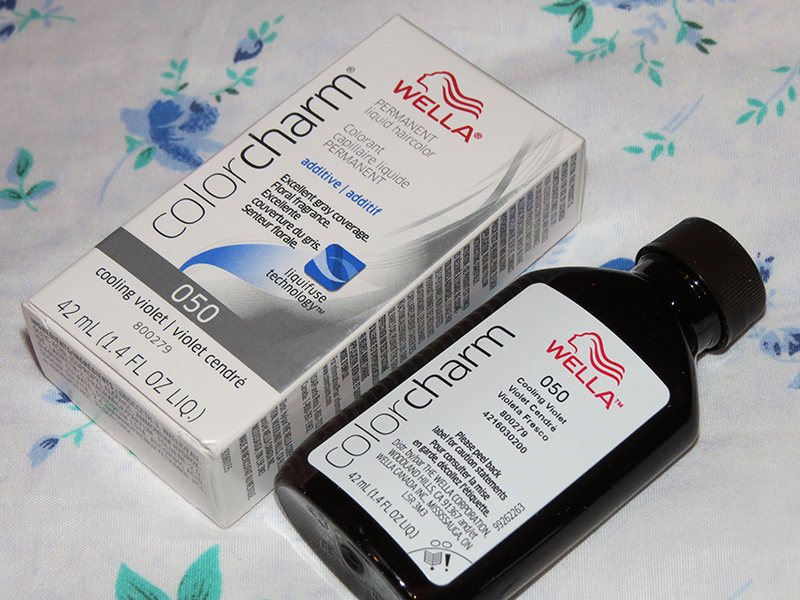 on the box's directions, it claims that you have to mix it with wella's color charm liquid mixture, but in reality, you can mix it with just any developer. i used a vol. 30.
you have to mix 1 part wella and then 2 parts developer (1:2 ratio). mixed easily. as i said above, let it sit for a couple of minutes before you start applying. this applied really smoothly. the color started to change within minutes! i left this on for about 45 minutes to an hour before i washed my hair as i would normally. everything came out easily, though the smell did linger a little. it came out in the next wash, though. this lasted for several washes and i did use a silver/purple shampoo. i am so in love with this product! it gave me the exact color i wanted--a darker grey/silver. the only thing i did not like was the smell, but i will deal with that. 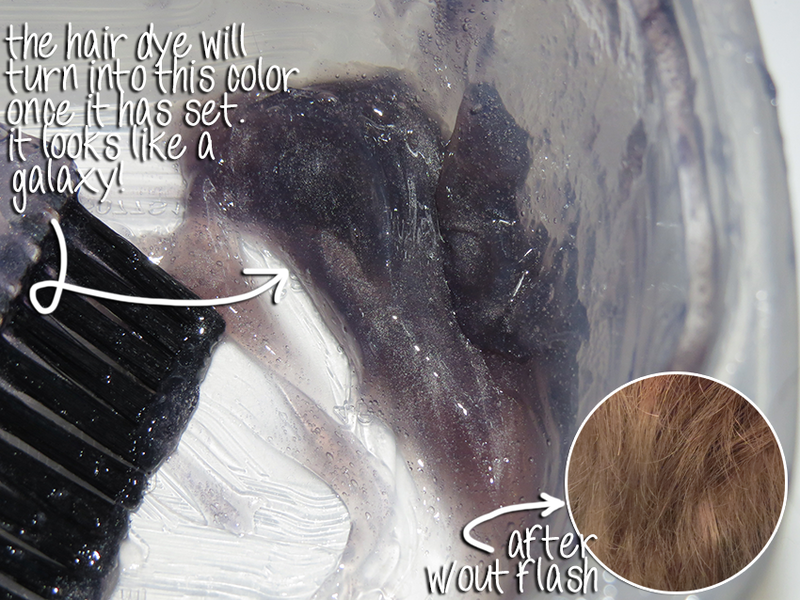 i used almost all of the the bottle to cover the ends of my hair, and i didn't have a little left over. if you plan on doing your whole head and have short hair, you'll probably need 2 and a half bottles. for longer hair, probably about four. probably. don't take my word on this. the end result is a dark grey/silver.